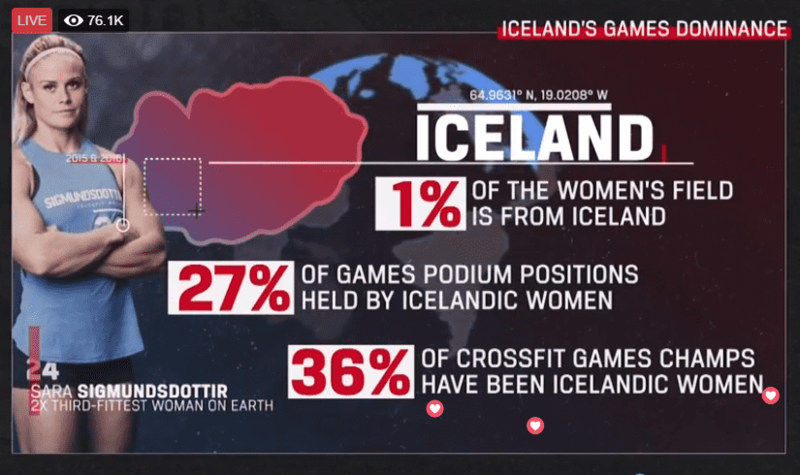 Iceland Annie takes the win! 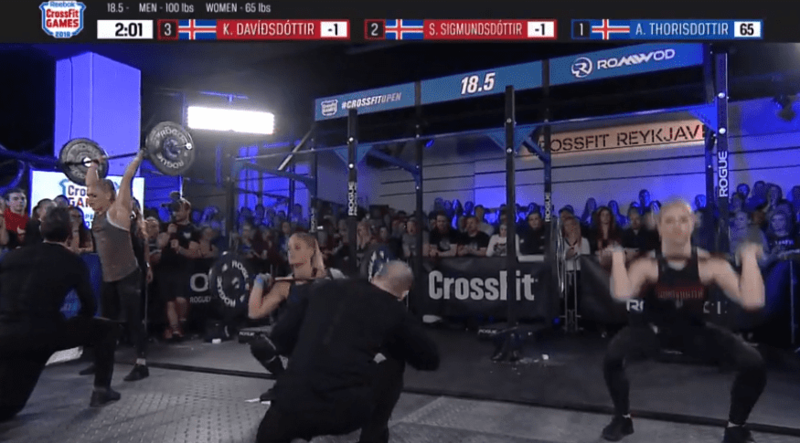 Annie Thorisdottir started with a quick and intensive pace and was able to maintain this throughout the entire 7 minutes. 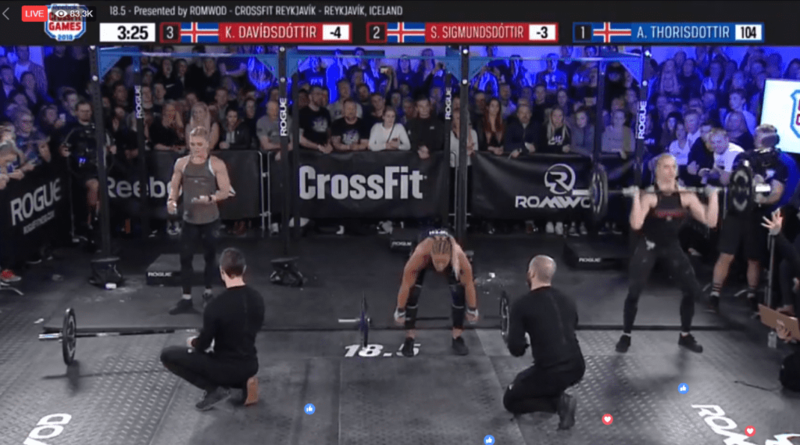 Katrin Davidsdottir came close to catching up with her towards the final couple of minutes but Annie paused intelligently, and kept her short lead right through to the end. CrossFit open Workout 18.5 was chosen by the international CrossFit community. Dave Castro presented the following 3 WODs, then let people vote for the one that they wished to see. 11.6 was the winner.